This is ESYO's biggest fundraiser! 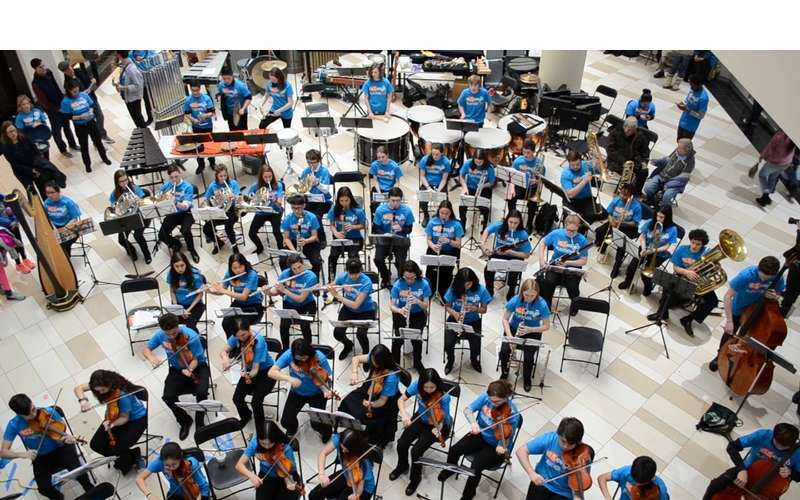 Come to Crossgates Mall and hear performances from every ESYO Orchestra all day-long and bid on a chance to conduct your very own ensemble. 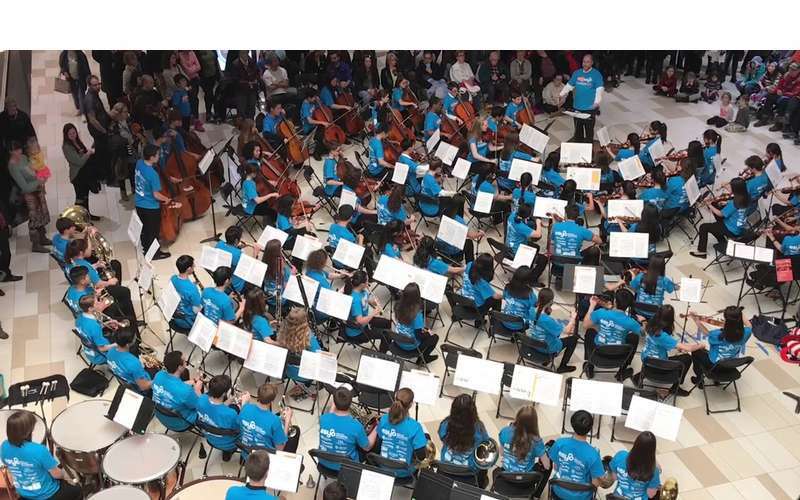 Over 500 ESYO youth musicians will transform Crossgates Mall into a symphony hall for its annual Playathon. This free, family event takes place on Saturday, February 2nd from 10:30 a.m. through 6:30 p.m. and showcases 11 ESYO ensembles–from the deep rumble of the percussion ensembles to the uplifting trills of the wind orchestra. The day will also include a Musical Petting Zoo from our friends at John Keal Music and live auctions to earn a chance to lead one of the ensembles! The marathon display of musical talent is more than simply a community concert; it helps ESYO ensure no qualified musician is ever turned away from the ESYO Experience because of inability to pay. The money raised will fund a substantial portion of ESYO’s operating expenses and musician scholarships.